Czech translation of our most popular article, "The Promise of a Post-Copyright World". By far the most popular article on this site (over half a million views now and counting) is The Surprising History of Copyright and the Promise of a Post-Copyright World. Courtesy of Antonín Houska, it is now available in Czech (česky): Překvapivá historie copyrightu a příslib světa po něm. It's also been translated into Chinese, Polish, Latvian, and Italian. We're very grateful to all the translators; it's a lot of work for a piece of that length. But the existence of these translations should also serve as a reminder of the vast amount of material in the world that would be translated if it weren't restricted by copyright monopolies -- a topic we've covered in depth before. Happy New Year, everyone. Let's try to have more freedom in 2016 than we did in 2015. Read more about Czech translation of our most popular article, "The Promise of a Post-Copyright World". Going to Town on Warner/Chappell in the "Happy Birthday" case. We've written about the Happy Birthday lawsuit here before. Now it seems the case has reached a turning point -- a "smoking gun" has been found, thanks to research in the files of the pro-monopoly side, Warner/Chappell: a copy of the "Happy Birthday" lyrics from 1922, that is, before the present-day copyright horizon. The story (courtesy of Hollywood Reporter) is pretty fascinating in itself, but let's go to town on the amazing claim Warner/Chappell seems to be making in response to this new discovery. After all, what is QuestionCopyright.org for, if not going to town on the most absurd claims of the monopoly industry? What Warner/Chapell seems to be saying is that even if it were found that the song lyrics existed in their current form in 1922 -- that is, earlier than the current "earliest copyright horizon" -- the fact that the 1922 copy of those lyrics might have been, at that time, a possible copyright infringement (which it obviously wasn't, but we'll leave that aside in order to grant the widest possible latitude to Warner/Chapell's argument, for our own entertainment if nothing else) means that maybe the copyrights claimed later in 1935 are somehow still valid. Or something? But the mere existence of a version of a work before the horizon means that, even if that copy were in an copyright-infringing state at the time, whatever copyright it was infringing then must, clearly, have expired by now. Because otherwise, the copyright horizon is not really a copyright horizon. Unless you live in a world where time runs backwards and sideways, as Warner/Chapell perhaps does. What this lawsuit really shows is what we've been arguing is the problem with broad information monopoly rights in general: once the state creates a monopoly, it creates a monopolist who owns it -- or in this case imagines themselves to own it -- and that monopolist will fight to the bitter end to keep it, against all reason and all evidence. There is normally no representative of the public who has as clear and focused an interest in a given monopoly as its putative owner does; we just got lucky in this case that a filmmaker decided to take an interest in this one song. Who will stand up for all the other songs? 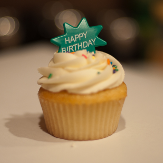 Read more about Going to Town on Warner/Chappell in the "Happy Birthday" case. Nina Paley's "Ask Me Anything" at Reddit -- Art, Truth, Copyright, Censorship. "Cartoonist, animator, and activist Nina Paley here to talk about making art and fair use!" She was joined by lawyer Sherwin Siy of Public Knowledge. Q: Hi Nina! Big fan of Sita Sings the Blues. As you may probably be aware, the right-wing moral policing is at an all time high in India. What are your thoughts on censorship and its implications on artists? A: Censorship: all the more reason to keep my work Free, open and decentralized. Centralized distribution is easy to censor. Decentralized distribution is impossible to censor. Q: Is there such a thing as good censorship? See the full AMA here. Read more about Nina Paley's "Ask Me Anything" at Reddit -- Art, Truth, Copyright, Censorship.